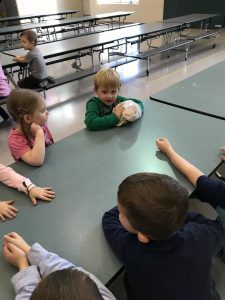 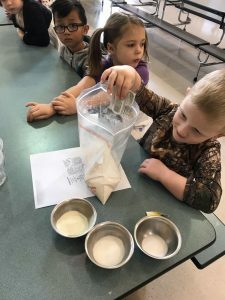 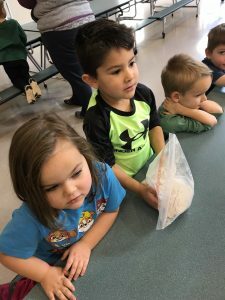 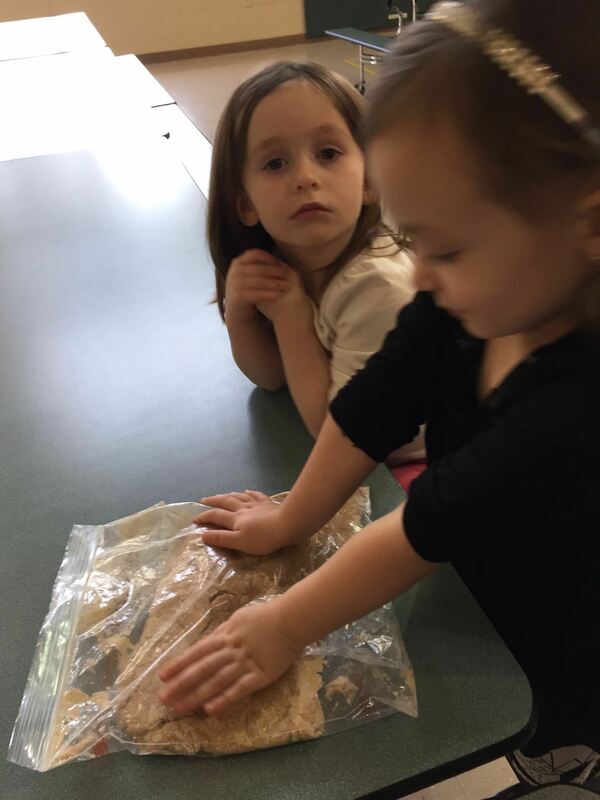 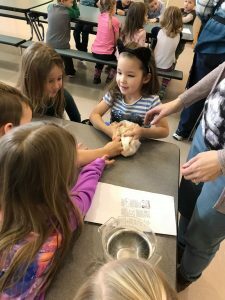 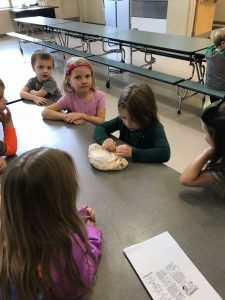 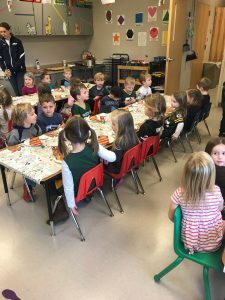 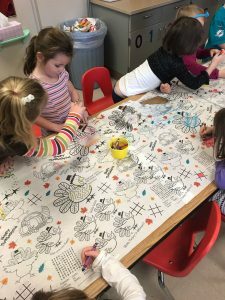 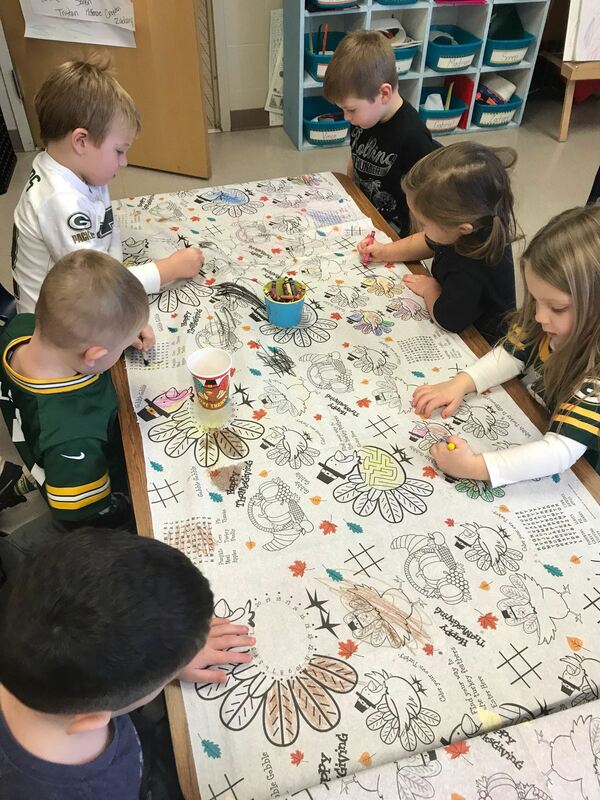 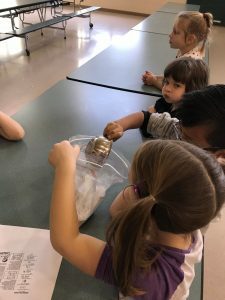 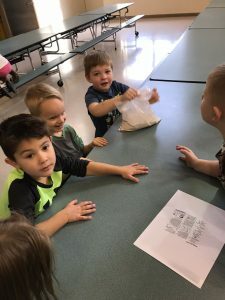 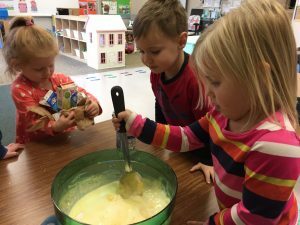 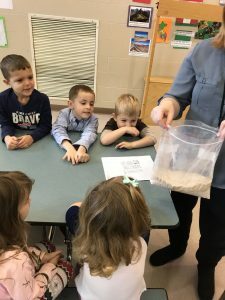 Monday we made bread together with Preschool. 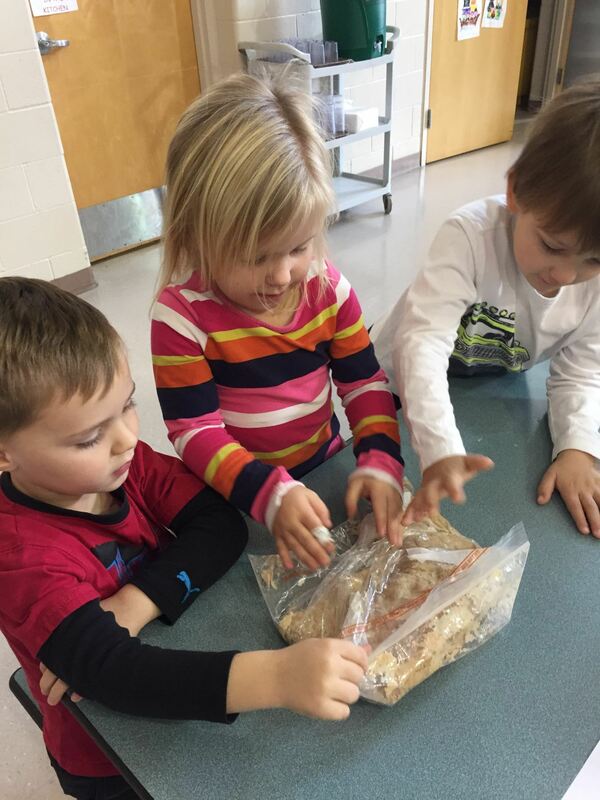 Preschoolers made some pies for us. 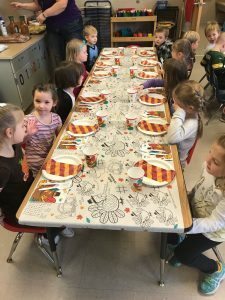 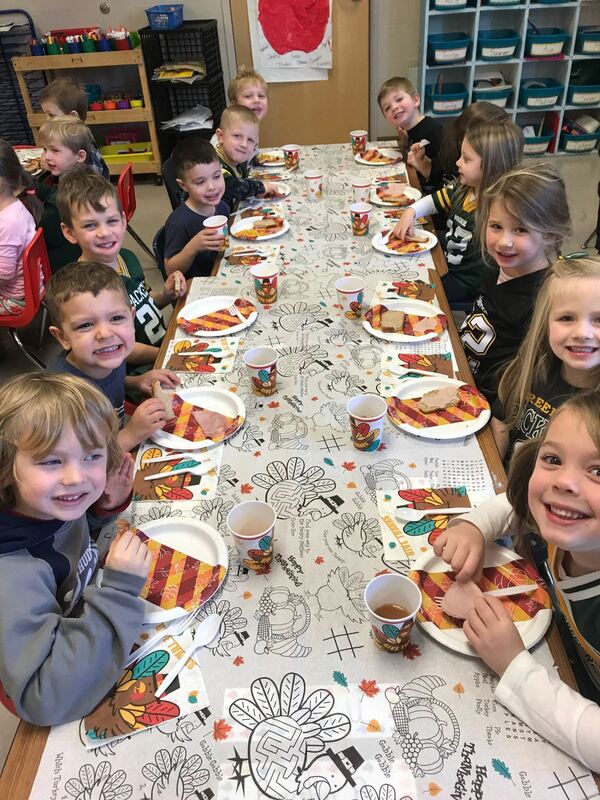 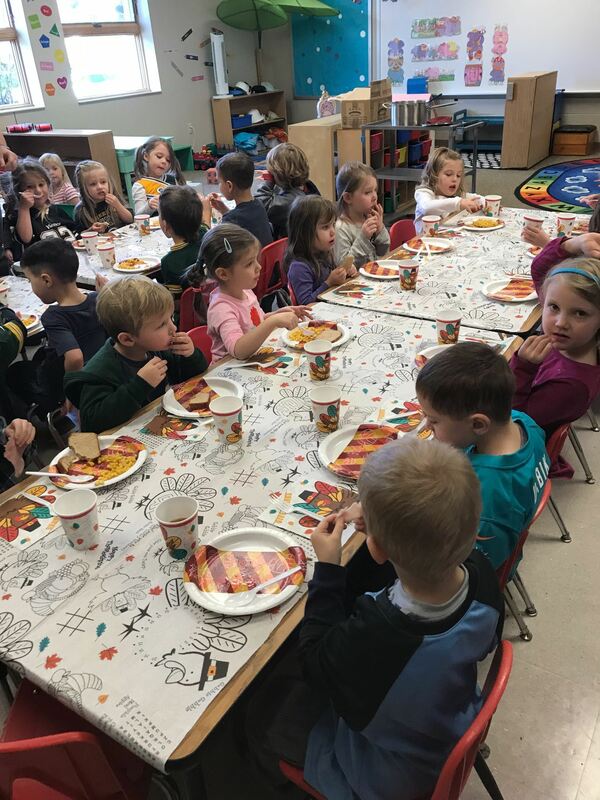 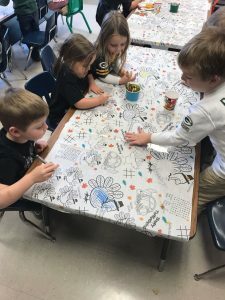 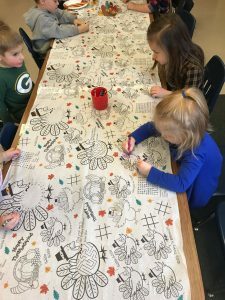 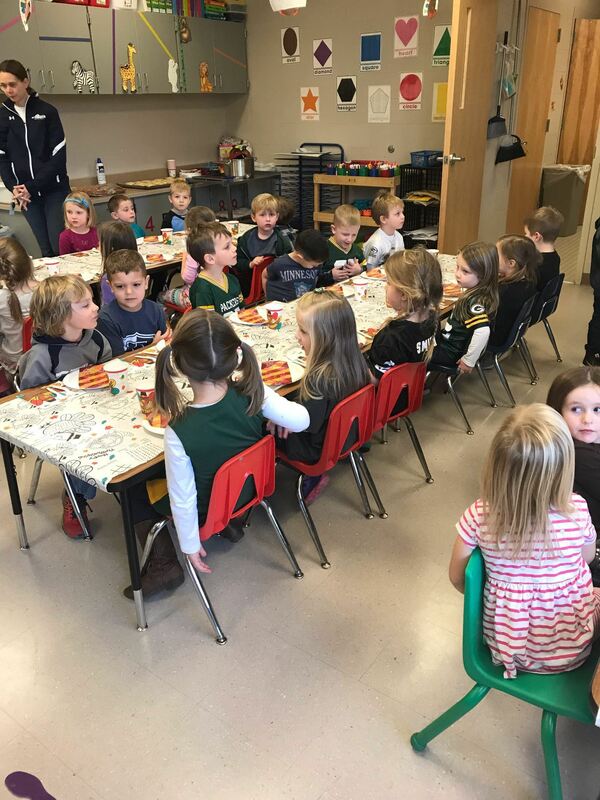 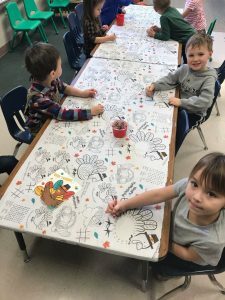 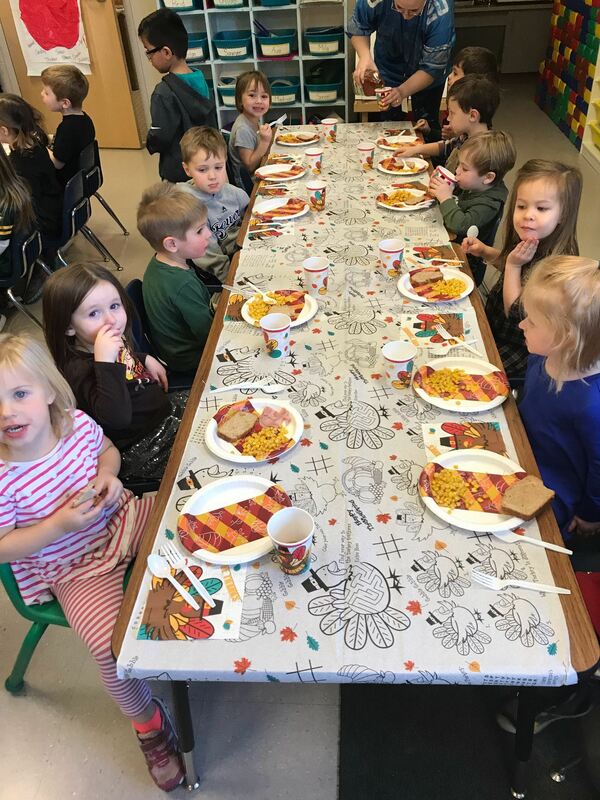 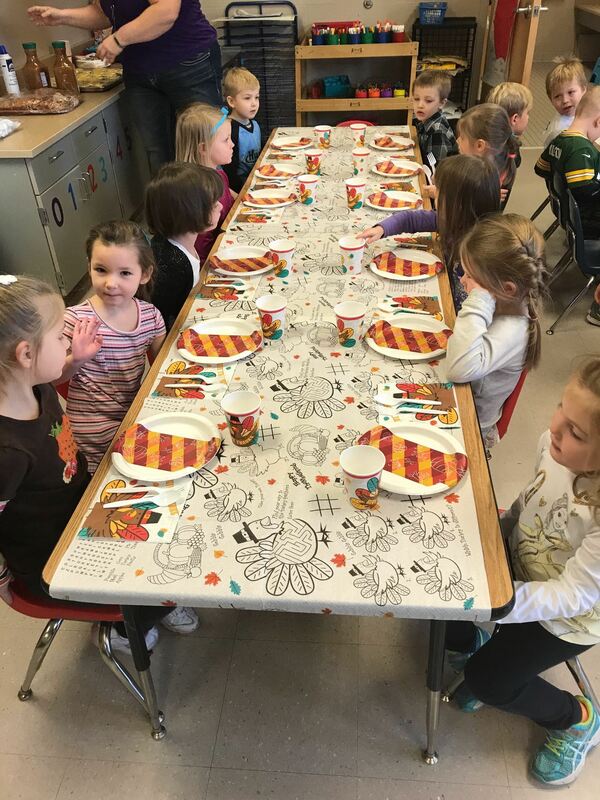 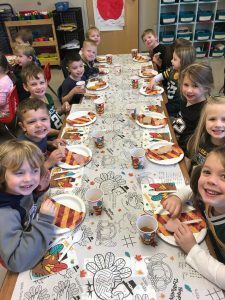 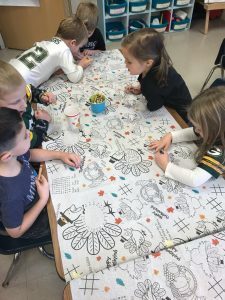 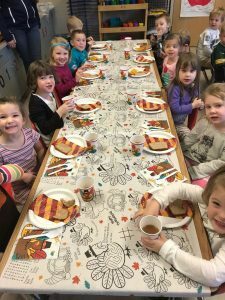 Today we got to sit down together and eat a feast with turkey, ham, corn, pies and the bread we made! 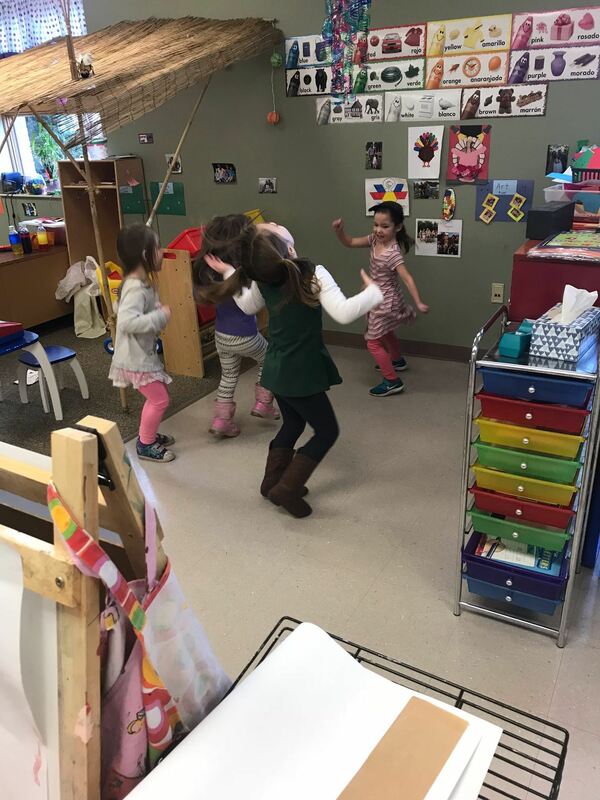 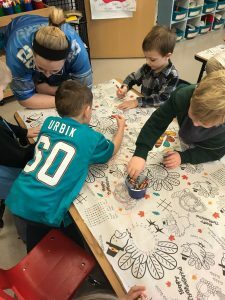 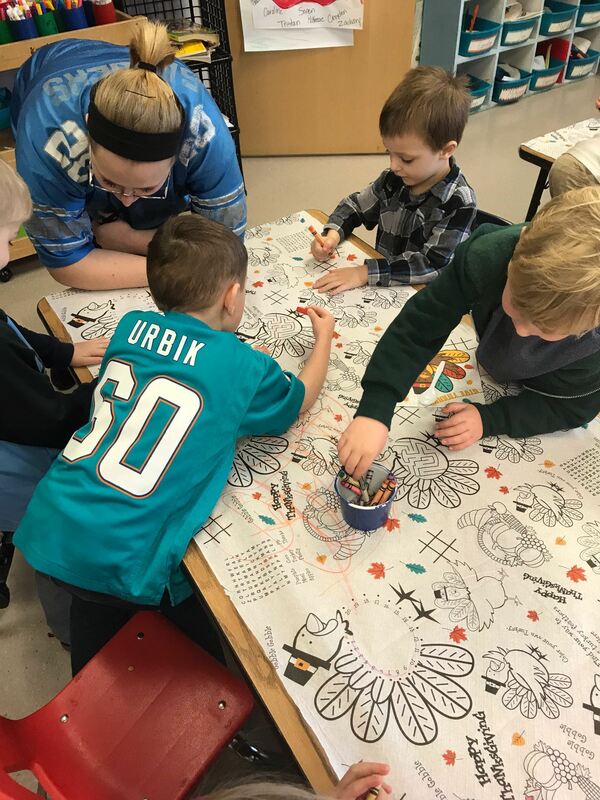 We also decided this morning in my classroom that since our tables were gone we should have a dance party so there is a picture of that.